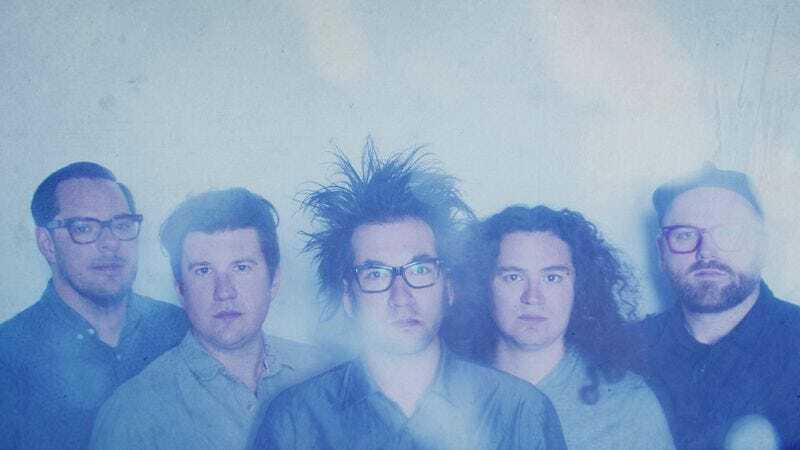 For its sixth album, and second since returning to Epitaph Records, Motion City Soundtrack enlisted the help of John Agnello (Kurt Vile, Sonic Youth) to capture the band’s younger spirit. Panic Stations, which will be released by Epitaph on September 18, is the first record to see the band record live—per Agnello’s suggestion—capturing the band’s frenetic live energy and translating it onto the record. The A.V. Club is premiering the video for “Lose Control,” which finds vocalist-guitarist Justin Pierre attempting to right his wrongs while the band incorporates some glitchy electronics into its pop-rock playbook. Pre-orders for Panic Stations are available now through Epitaph Records.